Kudos to Haagen Dazs for making good use of the infamous All I Want for Xmas is a PSP URL. (Quick recap: In December 2006, a blog was launched that looked like it was authored by two PSP fans. It wasn’t. It was a fake blog launched by an agency on behalf of Sony. Trickery. Deception. Fatal flaws in the world of social media. If you go to the AllIwantforXmasisaPSP.com URL, what do you discover? 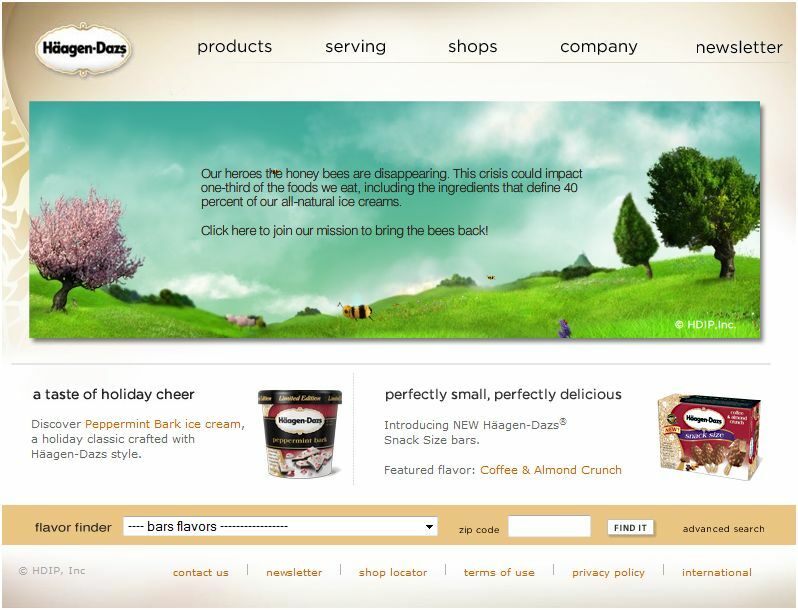 A site sponsored by Haagen Dazs promoting their Help the Honey Bees cause. Smart, Haagen Dazs. Very, very smart.